We love to have fun with jewelry and these Earth Gems from our friends at Fair Trade Gems are certainly fun. The opaque gemstones are all from the USA and are available in a variety of colors and patterns as seen below. Each is set with a faceted transparent gemstone, many of which come from the USA as well. 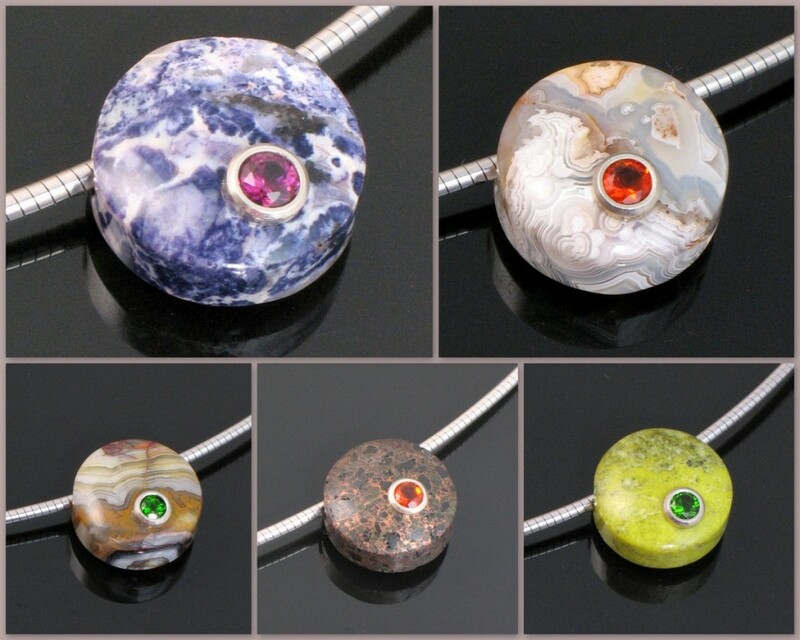 These Earth Gems make great gifts and can add to a fashion portfolio nicely. They can be worn singularly or paired with other Earth Gems. They are available in several shapes but we carry the small round ones as they have been the most popular. We hope you enjoy these Earth Gems as much as we do!